Levers are pulled, slots are turning, dice are thrown, and cards are shuffled in a grand hall of entertained patrons. The smell of fresh ingredients and the clink of glasses echo throughout the room. The commotion Angel of the Winds experiences on a daily basis is about to double thanks to their Xciting Xpansion Project. Those involved in the new project, as well as hundreds of others, broke ground Tuesday, January 23. 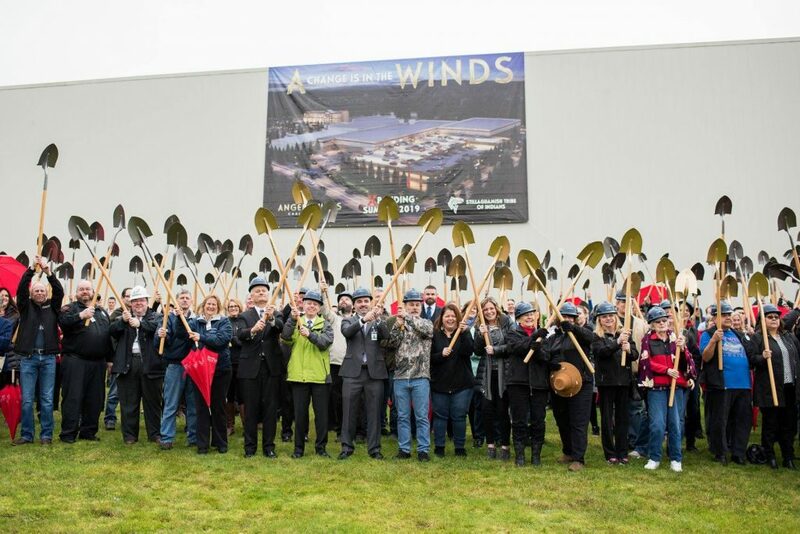 “The event went very well,” Marketing Manager for Angle of the Winds Tosh Anderson says about the groundbreaking. The project is expected to take 18 months, bringing with it 275 slot machines, a huge parking garage, a 200-seat buffet, gaming tables, and much more. Anderson believes many of the new amenities are things patrons have been wanting for a long time, as well as things they may not have known they’ve also wanted. He lists the 575-space parking garage as one of those amenities patrons may not know will be immensely beneficial to them until it’s available.